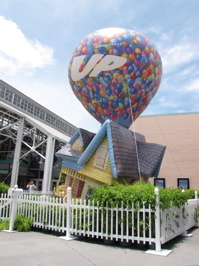 Pixar has an UP balloon display outside of the AMC theaters at Downtown Disney (Orlando), Denise Preskitt from site partner Mousesteps was there to get photos and video! 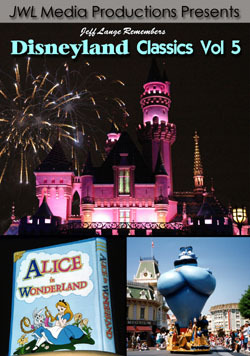 The Up balloon flies above the house (below, left). 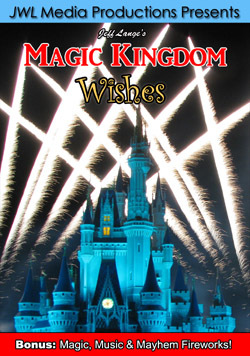 She then took a photo of the balloon from behind the fountain (below, right). 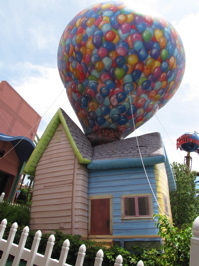 The house and balloon from different angles (below left and right). 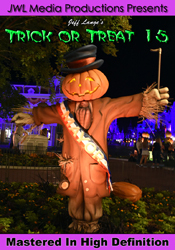 There was a lot of guests stopping to take photos, and one asking if it’d fell on the Wicked Witch 🙂 My UP movie review is HERE and photos and video of the UP characters meet and greet at Disney’s Hollywood Studios is HERE! 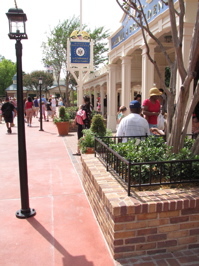 The Hall of Presidents has been in a very light soft opening mode, the facade is gone and a new sign is up (below left and right). 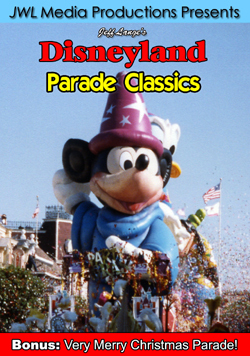 The Annual Passholder preview is on Sunday. 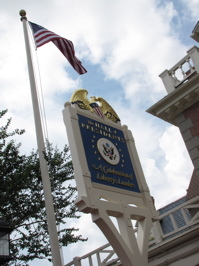 The American Flag flies above the new sign (below, left). 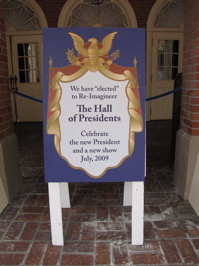 The sign says “The Hall of Presidents” and “A Celebration of Liberty’s Leaders“. 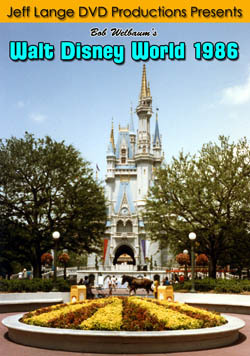 A temporary sign announces the attraction, but giving no indication on soft openings (below, right). 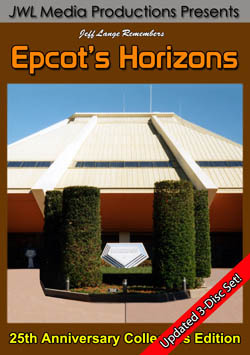 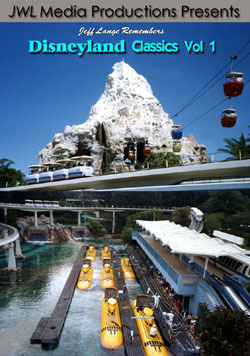 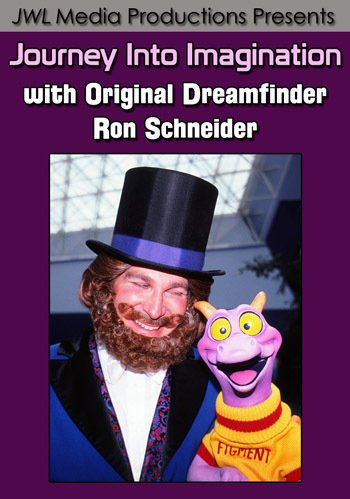 For many more WDW photos, please check out MouseSteps latest update HERE! 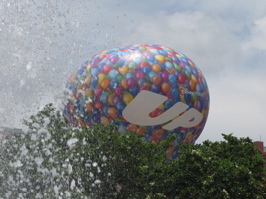 Disney / Pixar UP House Balloon – Video Recorded Today 6/22/09. 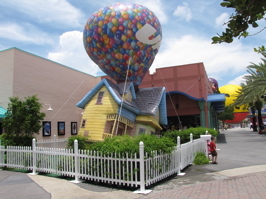 Pixar’s Up Inflatable House – At Downtown Disney, the UP House is inflated within a fence.